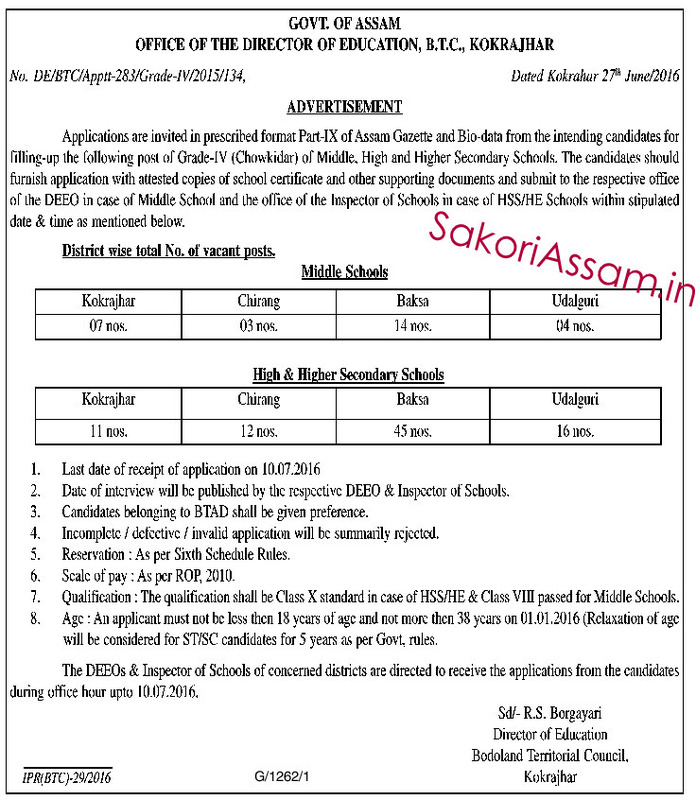 other supporting documents and submit to the respective office of the DEEO in case of Middle School and the office of the Inspector of Schools incase of HSS/HE Schools within stipulated date and time as mentioned below. Educational Qualification: The qualification shall be Class X standard in case of HSS/HE and Class VIII passed for Middle Schools. Age: 18 to 38 years as on 01-01-2016 (Relaxation of age will be considered for ST/SC candidates for 5 years as per govt. rules. Date of Interview will be published by the respective DEEO and Inspector of Schools.